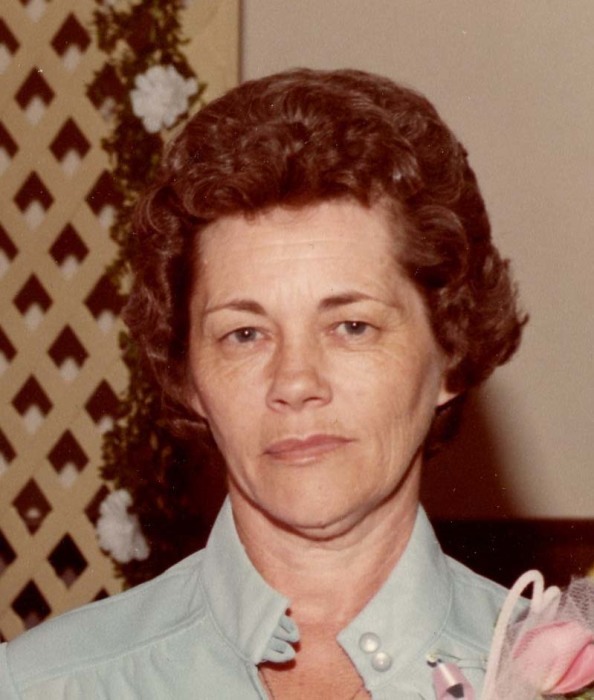 Geneva Lee McKenzie Marshall, 82, of Reidsville, NC, went to be with the Lord on Monday November 19, 2018 at her home. Graveside services will be conducted 2:00 P.M. Wednesday November 21, 2018 at Evergreen Memory Gardens with Rev. Jack Land officiating. A native of Galax, VA, she was a daughter of the late Columbus Albert and Zula Bobbitt McKenzie and had lived in Rockingham County since 1957. She was a homemaker and was preceded in death by a daughter: Sandra Lee Marshall and a granddaughter: Jamie Diane Glaze. Survivors include her husband: Dean Marshall of the home, daughters: Kathy Diane Marshall and Brenda Horsley both of Reidsville, sister: Loretta Rector of Hillsville, VA, grandchildren: Jonathan Brown, Jr. Dawn Rae Horsley, and Michael Dean King, great grandchildren: Brittany Horsley, Jacob Horsley, Justice Horsley, Joshua Brown, Luke Brown, and Ross Brown, great great grandchildren: Dontae Martin, Jayden Horsley, Ja’Mari Broadnax, and Lincoln Horsley. There will be no formal visitation. The family will see friends at the residence.